The Aleem Law Firm is Georgia’s premier personal injury law firm led by proactive, hands-on attorneys who will work to maximize the money recovery of your personal injury case. 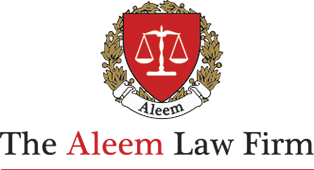 Contact The Aleem Law Firm now to speak to an attorney who will provide a free legal consultation on your case. Please contact us for your free copy of Guide To Establishing A Motor Vehicle Law Practice: From Inception To Trial written by Attorney Tarek Aleem. ©2017 Aleem Law® is a registered trademark of Aleem, LLC. All rights reserved.